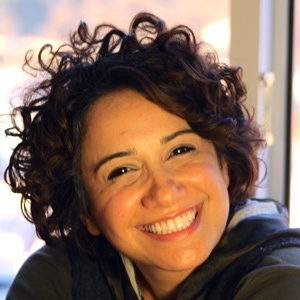 Azadeh Mohammadi Kangarani is a TV line producer and director, as well as a freelance theatre director, actress, and producer. She was born in 1979 in Tehran/Iran and studied dramaturgy at Soore University in Tehran. Azadeh developed her skills in acting at Prague Film School and later attended the Master's programme of Theatre Directing at DAMU (Drama Faculty of Prague). In the last year of her studies she worked with Erasmus students on theatrical productions. Since 2016 she started to work on multimedia productions, the latest of which, 'To Somewhere Else', toured around the Czech Republic. Currently Azadeh is doing her PhD in Theatre Studies at Charles University in Prague.